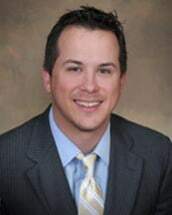 After graduating from West Virginia University's College of Law in 2006, Jeff Pekar visited family and friends in Florida and fell in love with the state. He has been practicing in the Tampa Bay area ever since. Jeff has been handling property insurance claims, including sinkhole claims and hurricane claims, and liability claims, including claims involving small business owners, general contractors, and subcontractors, for the past 6 years. He also has experience handling personal injury and wrongful death cases. Jeff is admitted to practice in all Florida state courts as well as the Eleventh Circuit Court of Appeals, the United States Northern District of Florida, the United States Middle District of Florida, and the United States Southern District of Florida. He has handled cases throughout the state, from Pensacola to Miami. Jeff has been named a Rising Star by Super Lawyers magazine in 2013 and 2014. In his free time, Jeff is active in local sports leagues and is an avid sports fan.